Due to the inflow of $ 13,9 bn of Foreing Direct Investments (FDI) to Poland, the country has joined the group of the top 20 FDI receivers in the world. This is the main conclusion of the World Investment Report 2015 regarding Poland that was presented on 24 June all over the world. Polish premiere of WIR2015 report was prepared by PAIiIZ. 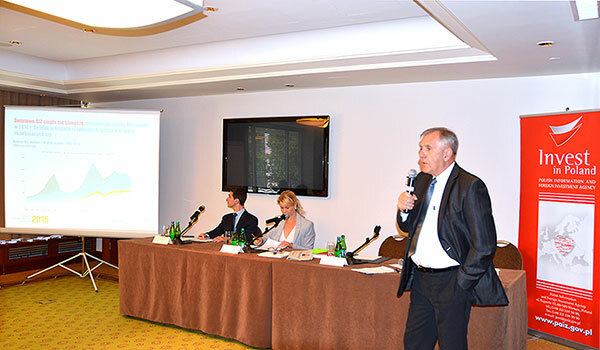 “WIR is the legendary report and the barometer of global economies”, said PAIiIZ president Sławomir Majman during the presentation of the World Investment Report 2015 that is said to be the key important presentation dedicated to trends in FDI in the world. Prepared by United Nations Conference of Trade and Development (UNCTAD) since 1991, WIR bases on economic data from 196 countries and provides an overview of BIZ trends at global, regional and national levels. In Poland the report bases on NBP data. The report reveals that China became the largest recipient of FDI in 2014, followed by Hong Kong (China) and the United States of America. Sławomir Majman: "Poland joins the Top 20 FDI receivers in the world"
Poland was listed as the 20 th global receiver of FDI and the 10 th among developed countries. 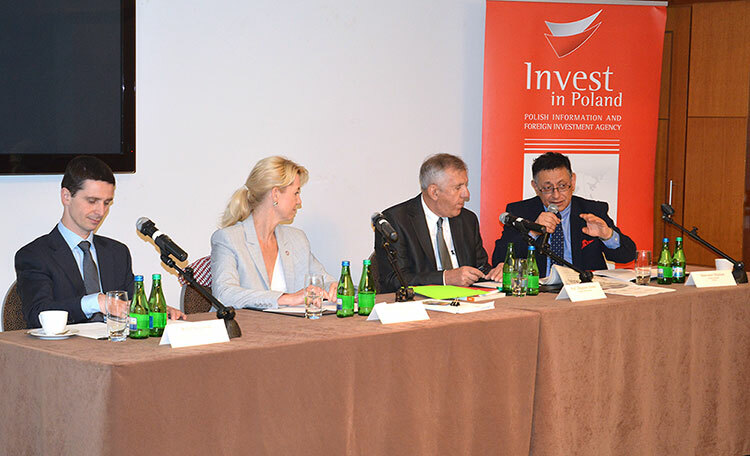 According to UNCTAD, in 2014, the inflow of FDI to Poland increased from $120 m to $13,9bn. The last year’s result of Poland in attracting investments was significantly higher that in previous years (in 2013 it was $120m while in 2012 it was $1bn). It also means that Poland is getting close to the level of FDI inflow from the times before the economic crisis (the average value of the FDI inflow between 2005-2007 was t $16,6bn). However, the global FDI recorded a decrease by 16% to $1,23 trillion in 2014. Also Europe experienced a drop by 12%. “Although global economy is slowly recovering, it doesn’t translate in to foreign direct investments”, comments UN expert professor Zbigniew Zimny. As Zimny explains, the weak EU economy is to blame. The report shows that, the global decrease can be also explained by the fragility of the global economy, policy uncertainty for investors and elevated geopolitical risks. The largest investors’ list is opened by the US, China (with Hong Kong China) and Japan. However, firms from developing Asia - with China investing $248bn and Hong Kong with the outflow of $100bn - now invest abroad more than any other region. Also in the top twenty global investors there are 9 countries from Europe with Germany (5h place); Russia (6 th place), France (8 th place) and Holland (9 th place). Only Germany and France recorded an increase of FDI - German investments tripled in 2014. The European share in FDI outflow has been estimated at 23%. In total, developing economies accounted for a record 35% of global FDI outflows, the report says, up from 13% in 2007. A characteristic of their global expansion is investment in other developing economies. UNCTAD experts forecast, the return to growth in 2015. The share of multinational enterprises intending to increase FDI expenditures over the next three years (2015–2017) has risen from 24 to 32%.